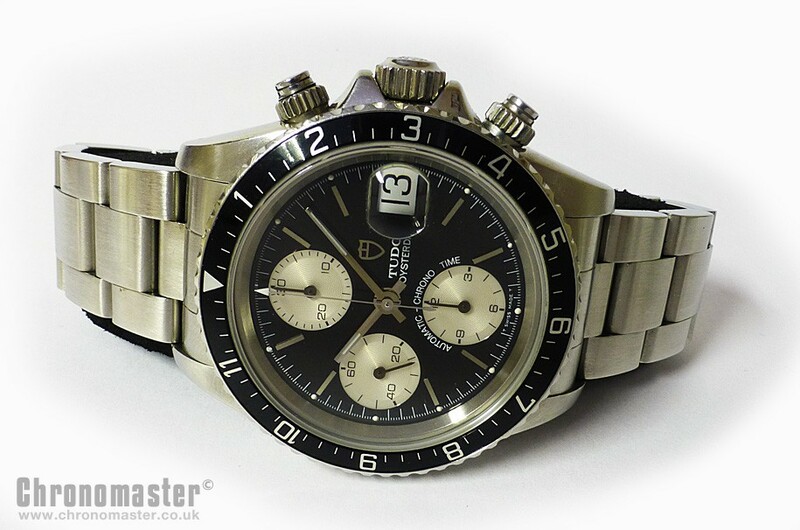 Mint condition Tudor Prince Big Block Oysterdate Chrono-Time automatic chronograph. 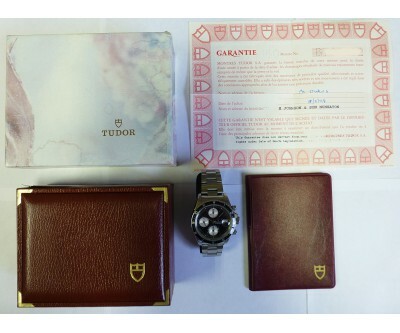 The watch comes complete with inner box, outer box, wallet and the original guarantee papers stamped by the dealers. 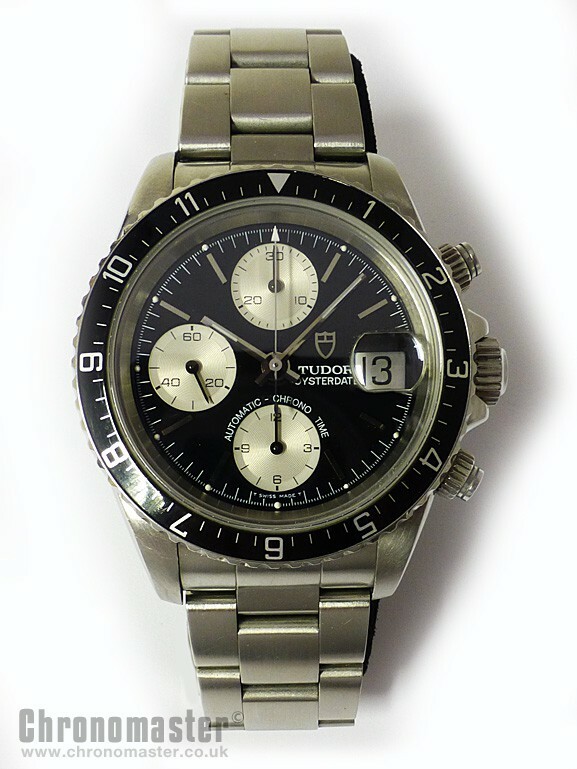 It was originally purchased from authorised Tudor dealers H Johnson & Son in Nuneaton, Warwickshire in 1998. 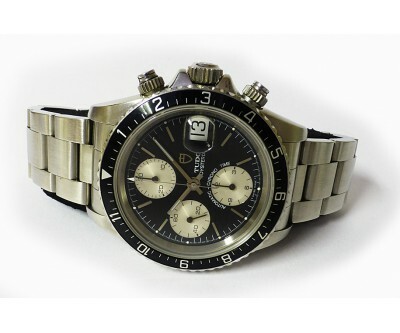 Tudor watches are serviced by Rolex. 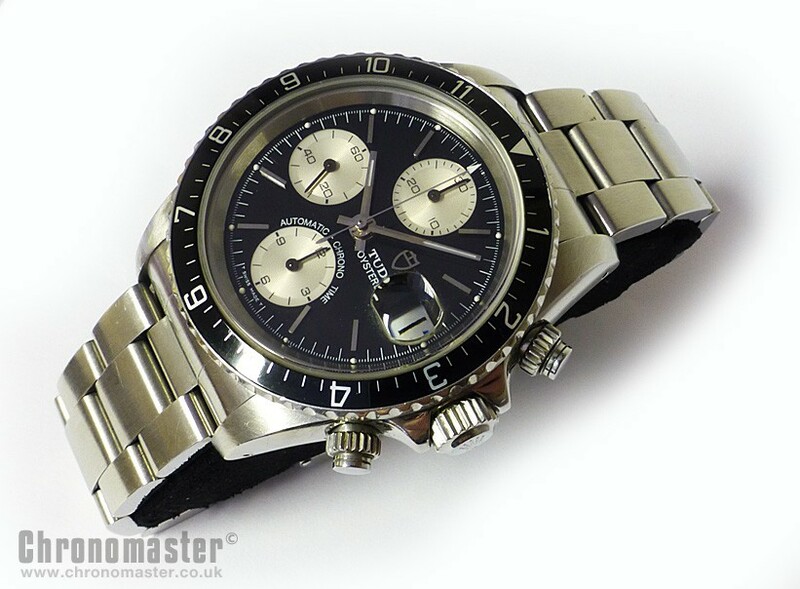 Tudor chronographs in this style are becoming quite desirable and collectible. 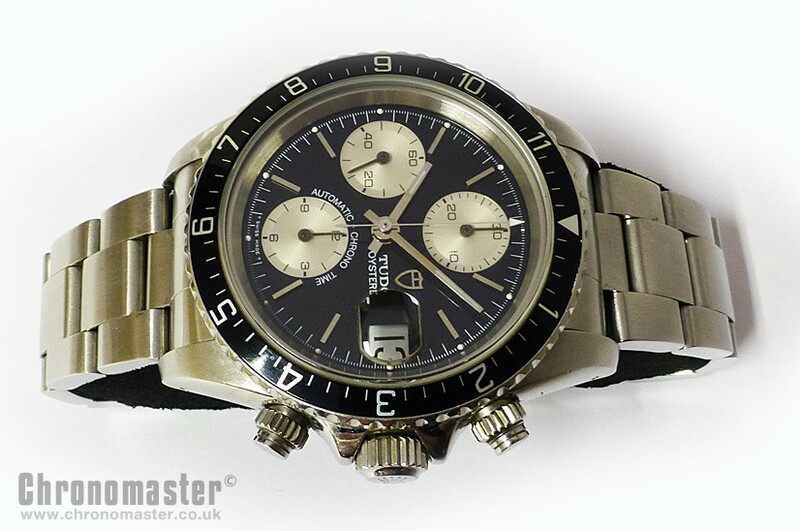 The Tudor Prince Date Chrono-Time is a beautiful and desirable watch and the cheaper version of the Rolex Daytona, but still bears all of the hallmarks to be found in a Rolex as it is built to similar standards under the strictest of quality control conditions. 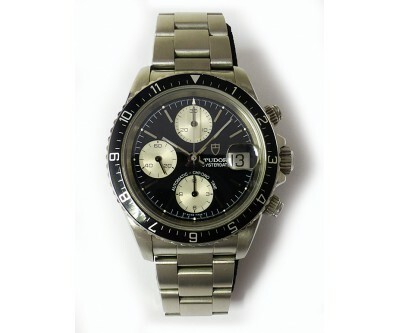 The watch has a black dial, with white sub registers and black rotating bezel. 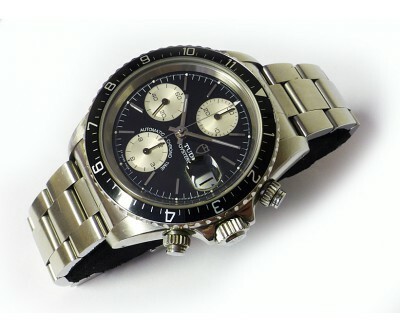 The bezel is bi directional and non ratchet, with 12 hour markings so not intended for diving use, but multiple time zone calculating. 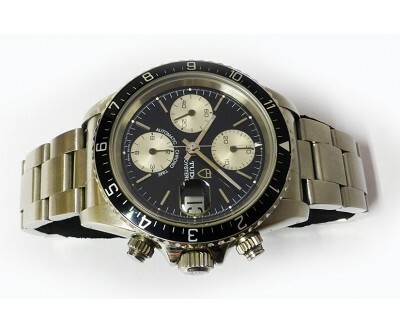 It has screw down pushers and a Rolex patented triplock screw down crown. The case back is also signed with the Rolex logo, and indicates that it is Rolex patented design. 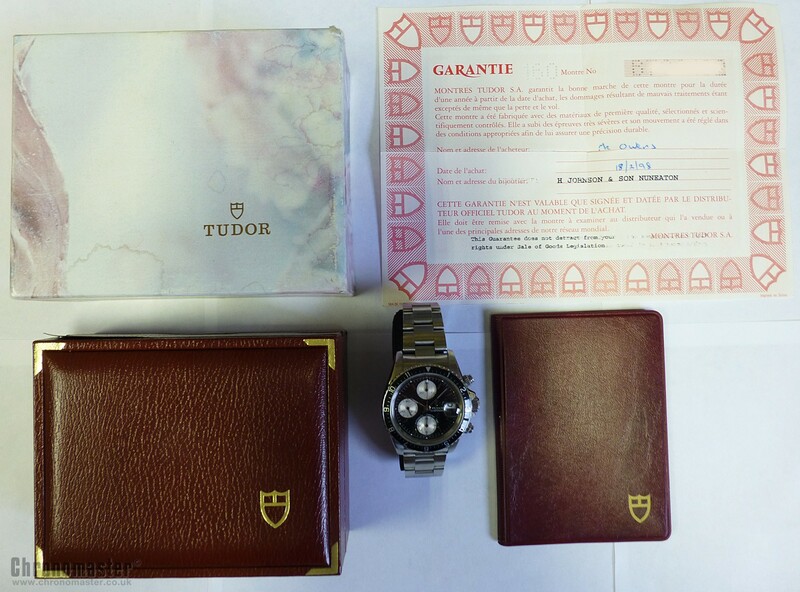 Has a solid link Oyster bracelet, this time with the Tudor signed clasp. The crystal is a sapphire crystal with cyclops date window at the 3 position. The twelve hour elapsed timer is at the 6 position, the thirty minute elapsed timer at the 12 position, the subsidiary seconds at the 9 position, and the sixty second elapsed recorder is the large sweep second hand. Comes with the original inner and outer box, booklet, and hang tag, and with service guarantee card. Dimensions are as follows. The width is 40 mm excluding crown, and 44 mm including the crown. The thickness is 14 mm and the lug to lug distance is 48 mm.